Reaching The 77 percent - Deutsche Welle launches new debate platform for young Africans to encourage conversations around politics and other issues that concern the youth of Africa. 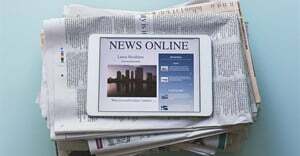 Deutsche Welle kicked off the new debate platform on December 4, 2017, launching The 77 percent. 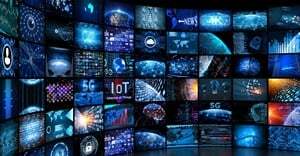 The multimedia project for young people in Africa will be presented in six languages and links social media content with radio talkshows and townhall debates in various African cities. 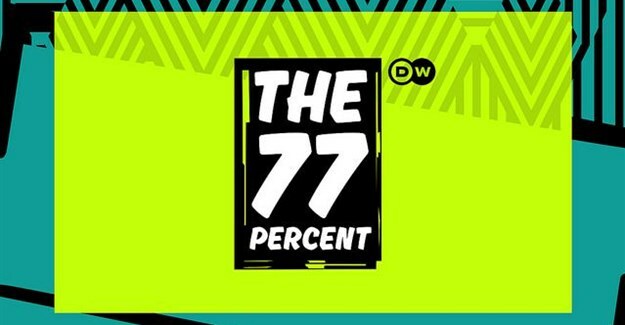 This will include a new TV format called The 77 percent on Tour, presented by DW-TV host Edith Kimani. According to a World Bank report, 77% of the people in Sub-Saharan Africa are younger than 35 years old. By 2050, around 1.8 billion young Africans will be attending school, studying and looking for jobs. These young people are connecting with each other on social media platforms like Facebook, Twitter, WhatsApp and Instagram. They are also recognising that while they make up three quarters of the population of the African continent, their voices are not always heard. Politicians, they believe, do not take them seriously. This is driving many young people to set off on a perilous journey north to try and reach Europe. DW has been documenting the journeys these young people are undertaking as well as their hopes and dreams. “The 77 percent will serve as an established, go-to platform,” said Claus Stäcker, head of Africa programming at DW. Over the last 13 months, DW, in cooperation with African broadcasting partners, has held townhall debates on the subject of migration in Abidjan, Accra, Bamako, Banjul, Conakry, Dakar, Jos and Niamey. “Until now, Africa hardly seemed to understand itself. But thanks to social media, more and more people are coming together. This expedition across my home continent is truly special for me. I feel at home here, not only in Kenya. I realise what it means to be young, proud and African,” said Kimani. 77% of the people in Sub-Saharan Africa are younger than 35 years old. By 2050, around 1.8 billion young Africans will be attending school, studying and looking for jobs. The project, funded by Germany's Foreign Office, will be presented in six different languages – Amharic, English, French, Hausa, Kiswahili and Portuguese - and will confront the current political situation in Africa. Zimbabwe's President Robert Mugabe recently left office at the age of 93 and his successor is 75. The average age of African leaders who attended the recent AU/EU summit was 78, many of whom have been in power for decades. Do they adequately represent African youth? Over just a few days, DW received more than 3,000 comments, many of them were complaints. “Here, young people can't even speak their mind. When they take to the streets they risk being arrested or killed,” Meseret from Ethiopia wrote. 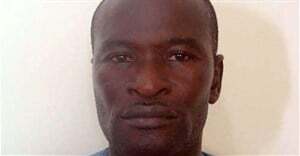 “They can't represent us, something which is shown through their corruption, theft, hiding their money and riches in Europe and these undignified contracts with the west – totally dishonest,” said Richard Yehouenou from Benin. Embedded in the project is the social media format WhatElse? 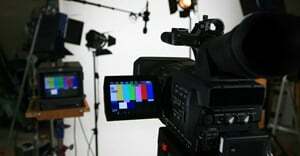 The show focuses on the African topics that do not make it into global headlines. Edith Kimani will discuss these issues with young Africans in their home countries. “These reactions show why the young generations are demanding ever stronger future prospects from their leaders and hoping for support from the West,” said Stäcker. DW is seeking to inform and assist users while also being conversational. Users determine the content, whether it be tips for a job hunt or for establishing your own business, revealing cool ideas from other countries while asking tough political questions. A weekly radio broadcast, 77 pourcent – nous les jeunes d’Afrique, is already being broadcast in Francophone Africa. The English version will premiere in January. “We want to listen to Africa's young majority and give the people a platform for debate,” Stäcker said. People from all over Africa have been following DW for the last five decades. And now up to 40 million Africans tune into at least one DW program weekly and four million follow DW on Facebook.